India is a land of rich heritage. The country has seen the rule of many powerful dynasties that have influenced the culture of the people. The rule of these empires can be still seen today, in the form of relics they leave behind. We know that parts of India were under the rule of famous empires such as the Mughals, British, Marathas, etc. But did you know the influence of the Danish in Tamil Nadu? 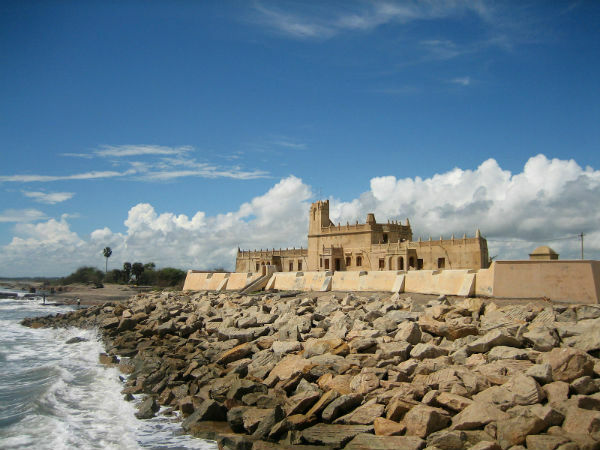 Tharangambadi, or formerly known as Tranquebar, is a place in Tamil Nadu, that used to be the base of Danish settlements in the 17th century. During this period, the Danish people built Fort Dansborg, or what is locally known as the Danish Fort. It is the second largest fort built by the Danish, right after Kronborg in Denmark. Kronborg is the castle that is home to Hamlet, one of Shakespeare's most popular plays. Fort Dansborg overlooks the breathtaking blue waters of the Bay of Bengal, since it is settled on the sleepy shores of Tharangambadi. The Danish Admiral Ove Gjedde built Fort Dansborg, after making an agreement with the preceding Thanjavur King Ragunatha Nayak. In 1620, it was built on the land that was given up by the King. The British later controlled the fort, along with Tharangambadi, in 1845. Since Tharangambadi wasn't the capital of any of the British affairs, it was neglected until independence. Even so, the fort was an important gateway for the trade activities that took place between Europe and Coromandel. After being used as a bungalow till 1978, the fort came under the Archaeological Survey of India, and is now being used as a museum to display all the artifacts of the fort and the Danish Empire. Constructed in Danish style of architecture, the Fort Dansborg has huge halls, high ceilings and columned structures. The fort faces the sea and has rooms of what used to be the Governor's residence like a kitchen, fireplace, chimney, etc. The fort used to be surrounded by citadels, creating a small town on the shores. The town was very similar to that of a European town, with streets named as King's Street and bungalows that belonged to the British. These citadels, however, were eroded with time by the salty waves of the seawater. The fort was later renovated twice, by the State Archaeological Department along with the Danish Royal Family. Once in 2001 and the second time was during 2011, in order to increase the tourist appeal to the fort. It has been one of the popular tourist hotspots of Tamil Nadu ever since. The Fort Dansborg remains open from 10 AM in the morning to 5 PM in the evening on all days of the week. By Air: Chennai Airport is the closest air base to Tharangambadi, which is located at a distance of about 270 km. This airport connects to many major cities of India like Mumbai, Bangalore, Kolkata, etc. By Rail: The closest railhead is the Mayiladuthrai Railway Station, which is situated 24 km from Tharangambadi. The station has trains that are well connected to places like Coimbatore, Varanasi, and Chennai, to name a few. By Road: The state transport system has buses that are available to travel from Chennai to Tharangambadi regularly. A trip in the government or private bus should take about 7-8 hours, from Chennai. Taxis are also available either from railway stations or from the Chennai Airport.